"Country Churches Address Labels" product is already in your cart. 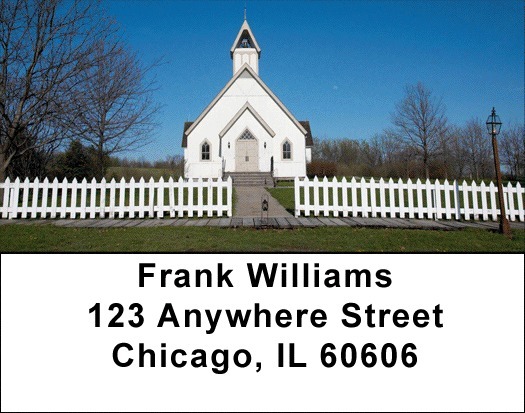 Country Churches Address labels feature four elegant churches in beautiful natural settings during varied seasons. These scenic vistas are awe inspiring and each church has graceful lines and color that show dramatically against the natural background. Country Churches Address labels are self adhesive. Matching checks are also available.